It’s a message that you’ve internalized since the very start of your foray into skincare: sunscreen must be an essential part of your everyday routine. But if you’re also a makeup lover, you know that SPF doesn’t always play nice with your favorite products. Some cause makeup meltdowns, others make you look streaky or patchy, and even more formulas change the tint and texture of your cosmetics. It’s time for the union of your sunscreen and your makeup to be a happy one. We consulted two experts and had them share exactly how to layer it all together for a flawless finish. While you want your sunscreen to be the first line of defense against harmful UV rays, there’s a lot to consider when putting any type of makeup on top of it. The first thing to understand is where the sunscreen falls in your skincare lineup. Even if your regimen isn’t as thorough as a K-Beauty aficionado’s, it likely involves more than one step. The general rule for the best absorption (and thus best results) is to layer products from the lightest formula to the heaviest. “After cleansing your skin and after applying your non-SPF based serums, oils or creams, allow a minute or two to let your skincare sink in before proceeding with your sunscreen,” says Jo Levy, professional makeup artist and beauty educator. Once the steps are sorted out, you have to find an SPF option that blends into your skin effortlessly. This is the key to getting your existing makeup routine to play well with your sunscreen. While a gel-based formula is ideal for avoiding a chalky finish, it’s still not likely to be your perfect match. According to board-certified cosmetic dermatologist Dr. Kenneth Mark, these sunscreens could be difficult to apply evenly. (Patchy application means ineffective sun protection, which is the whole point here!) Furthermore, gels might have a sticky or drying texture, which would make for a sub-par canvas for your foundation. Focus instead on finding a creamy or liquid SPF formulation. “Most, if not all creams and lotions may make it easier for the even application of sunscreen,” says Mark. Levy agrees, saying that more fluid-like hybrid formulations that fuse anti-aging skincare, makeup priming benefits and sunscreen tend to feel lighter on the skin and allow you to more easily layer your makeup on top. She recommends the Coola® Daydream Mineral SPF 30 Primer ($42), which combines all these features in one formula. Above all, you should stay away from thicker, zinc-based formulas — they’re too heavy to pair with makeup and can leave a white cast on skin. Save those for a day at the beach! If photos are in your plans for the day (when are they ever not? ), Levy says to keep an eye on the flash setting. A camera’s flash could cause your foundation to appear lighter than the rest of your face in the final snapshot, especially if there’s an SPF of 15 or higher in the formulation. “To reduce this effect, I recommend applying skincare with sunscreen protection and then following with a foundation or tinted moisturizer without any SPF,” she notes. How you apply your products also matters. While using your fingertips might be easier, they could add germs to your skin. They can also move your makeup around, undoing all the hard work you did picking formulations and reducing the efficacy of your SPF. “When layering your makeup atop sunscreen, stick with light coats and apply with a brush so that you don’t rub your sunscreen off,” Levy suggests. If your skin feels a bit oily, set and mattify it with a translucent setting powder. 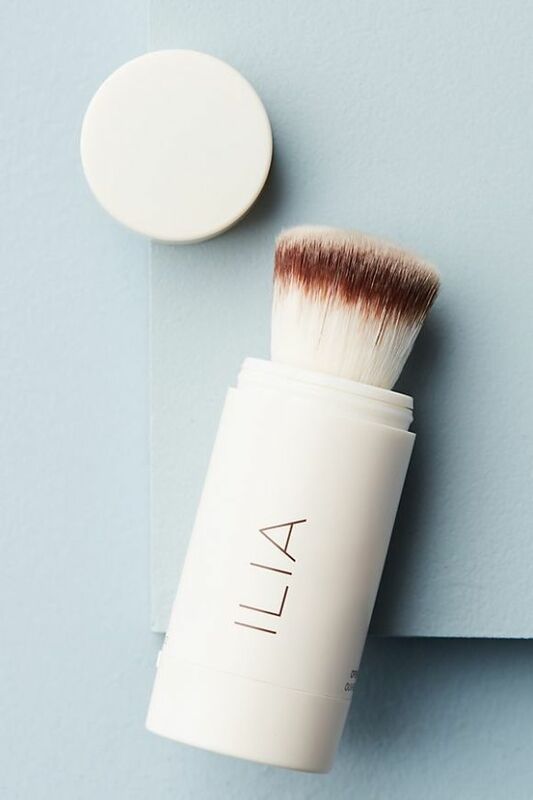 All the better if it has an SPF in it already, like Ilia Radiant Translucent Powder SPF 20 ($34), which comes with a built-in brush that makes it super easy to dust over makeup. When done right, more layers can actually do your skin a lot of good in the long run. (Think of each coat as a blocker from all the bad stuff trying to get to your skin.) But don’t count solely on SPF-infused makeup products, because you need amplified protection from free radical damage. Mark implores you not to forget about antioxidants. “We know that antioxidants not only are a key for anti-aging purposes, but also can help decrease sun-induced damage,” he notes. Although it’s an extra step, he suggests adding an antioxidant-based, lightweight product like Verso Anti-Pollution Mist just below your sunscreen. “Applying makeup on top provides even further protection,” Mark concludes. To get the max protection from your sunscreen, you really should be reapplying after a few hours, but most aren’t quite made for slathering on top of makeup. If you do need a touch-up, try an SPF-infused powder or tinted moisturizer. “You can set your makeup with a mineral powder-based sunscreen, or simply use it as your all-over coverage product,” Levy recommends, noting that this type of formula is typically best for oily skin types. Try Colorescience® Sunforgettable® Total Protection Brush-On Shield SPF 50 ($65) — it has a high SPF factor and comes in four blendable shades. If your complexion is normal to dry, you can top off with a light swipe of a tinted moisturizer that has a built-in SPF. Levy notes that pairing a synthetic foundation brush with your tinted moisturizer for coverage touch-ups is best. We like NARS Cosmetics Pure Radiant Tinted Moisturizer SPF 30 ($45), which offers 12 shades. 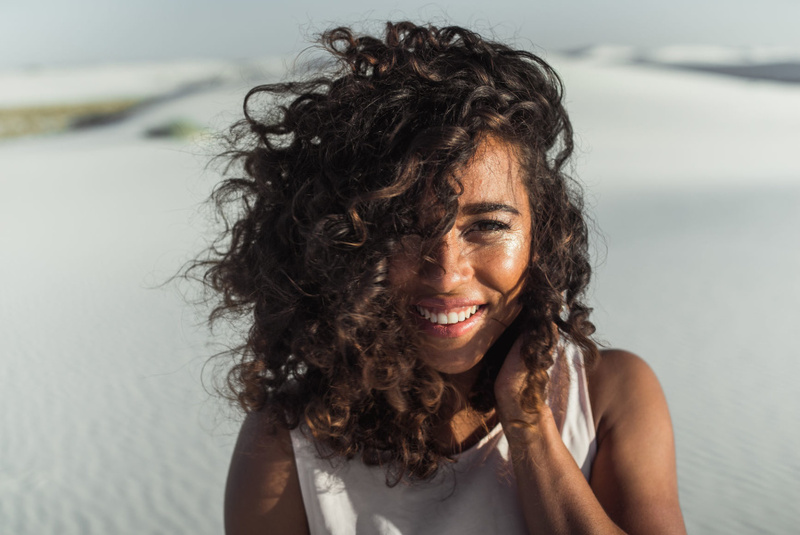 Now that you’ve mastered a beauty routine that protects your skin as it perfects, grab your favorite floppy hat and pair of sunglasses, and then head out there! You’ve earned your time in the sun.